Ron Sexsmith On Mountain Stage The respected Canadian singer-songwriter returned to West Virginia's most famous stage for the third time to play cuts from his new album, Long Player Late Bloomer. Ron Sexsmith performed on Mountain Stage. 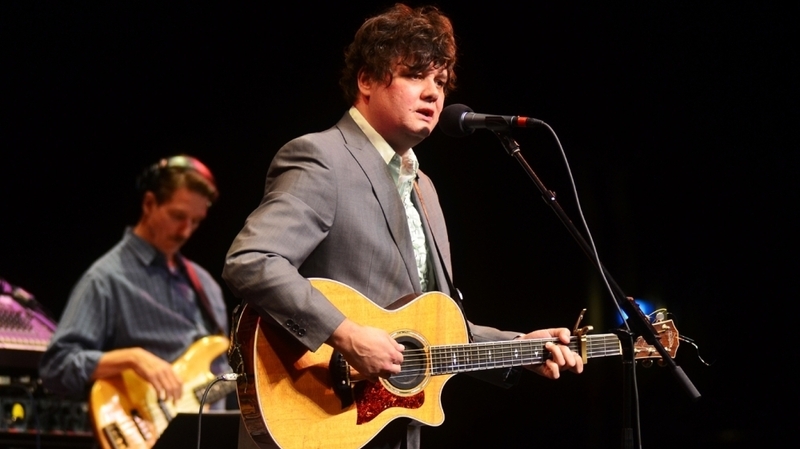 As one of Canada's most respected singer-songwriters, Ron Sexsmith has earned praises from many of the artists who initially inspired him, including Paul McCartney, Bob Dylan and John Hiatt. Sexsmith returns to Mountain Stage for a third time, playing songs from Long Player Late Bloomer, the new album he recorded with unlikely collaborator (and fellow Canadian) producer Bob Rock. With credits that include Metallica, Mötley Crüe and Bon Jovi, Rock added his bright, signature sheen. Sexsmith, whose songwriting prowess is equally matched by his skillful technique as a singer, enlists the Mountain Stage band to assist in recapturing the punchy, melodic sound from the new album. The segment is closed by Mountain Stage pianist Bob Thompson's rendition of Stevie Wonder's "All in Love is Fair." This performance originally aired on April 14, 2011.